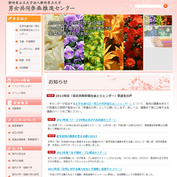 The Center for Promotion of Gender Equality (CPGE) was established as the core organization responsible for the promotion of gender equality at the University of Shizuoka on July 28, 2008. The realization of a gender-equal society is a high-priority issue in 21st century Japanese society, where individuals of both sexes are to be treated equally, and are to be allowed to fully exercise their individuality and abilities regardless of gender. At this time, there is a strong expectation that universities too should take responsibility for the promotion of gender equality. The CPGE has been established in order to carry out this responsibility. Our aim is to realize gender equality at the university by making campus-wide efforts related to this issue on behalf of all students, staff, and faculty members through research, educational activities, and the improvement of conditions related to employment and the greater university environment. Thank you very much for your support of the CPGE.